Spring Break came early this year. 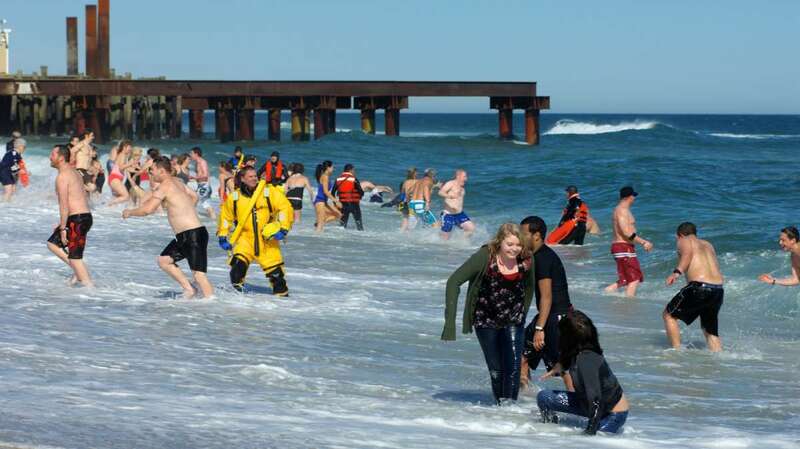 A balmy 57 degrees and the thrill of an icy cold dip in the Atlantic Ocean brought droves of visitors to Seaside Heights, N.J. on Saturday afternoon. 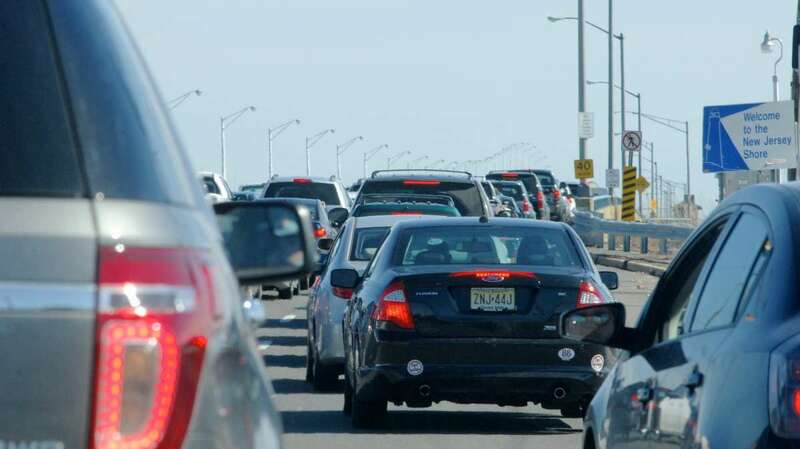 Traffic on Route 37 East towards the shore points was bumper-to-bumper. Travel time just to get across the Thomas A. Mathis Bridge exceeded 30 minutes. Yet motorists and their smiling passengers hardly seemed to mind the wait. 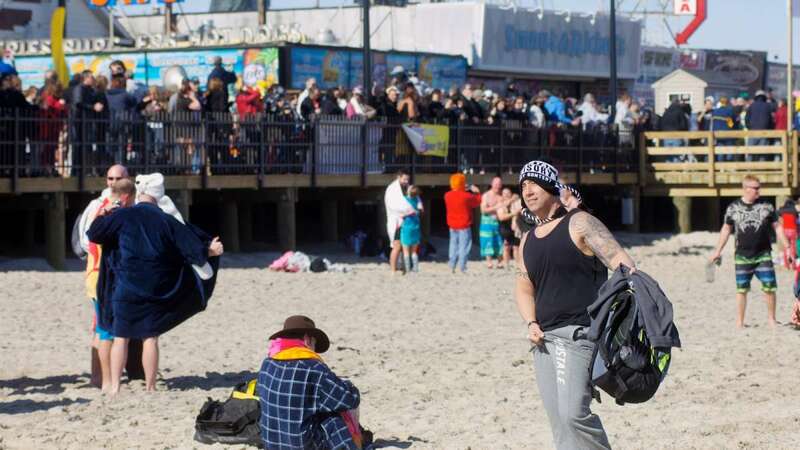 While relief from cabin fever may have been behind some of the crowds, another big draw was the return of the annual Polar Bear Plunge to Seaside Heights after a year’s absence. 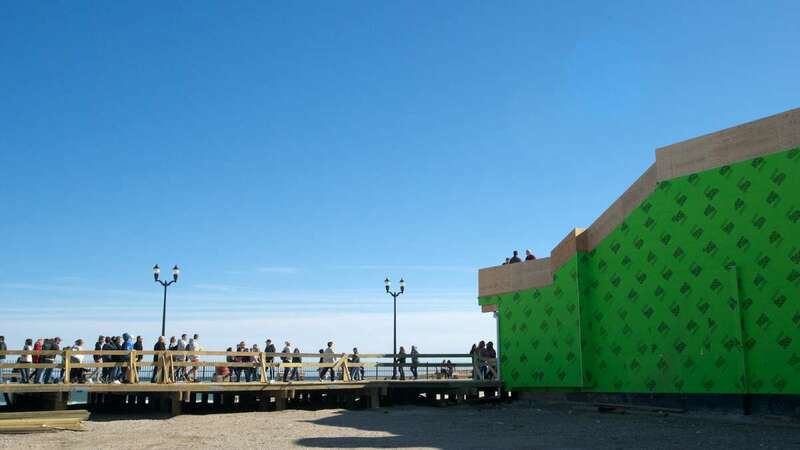 In 2013, the Plunge was temporarily relocated to Long Branch, N.J. because of the ongoing recovery effort following Superstorm Sandy. 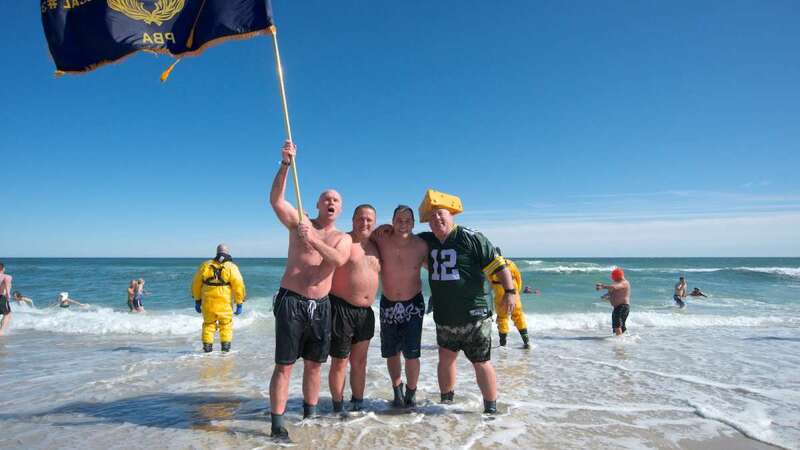 The Polar Bear Plunge at Seaside is a fundraiser benefiting Special Olympics New Jersey, a non-profit organization which provides free sporting training and competitions for both children and adults with intellectual disabilities. This year’s Plunge raised $1,189,128. Taking the plunge is a long tradition for Joe Pitts, Jim Crowell, Nick Robles and Tom McComb. 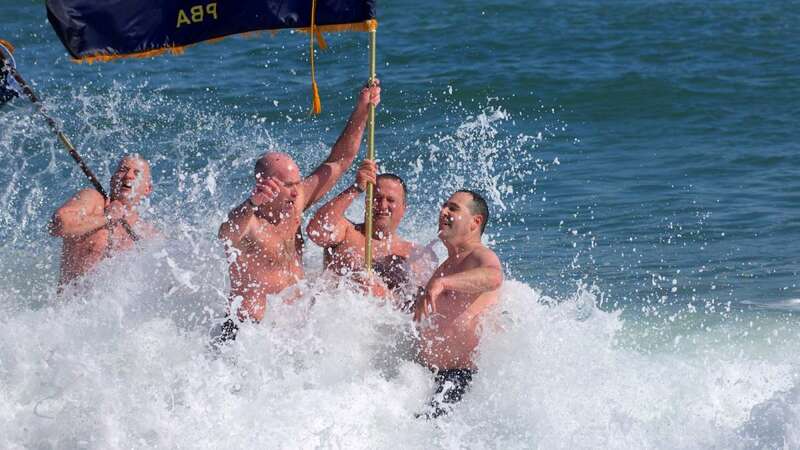 Together, the four members of PBA Local 31 braved ocean water temperatures of 32 degrees for the cause. 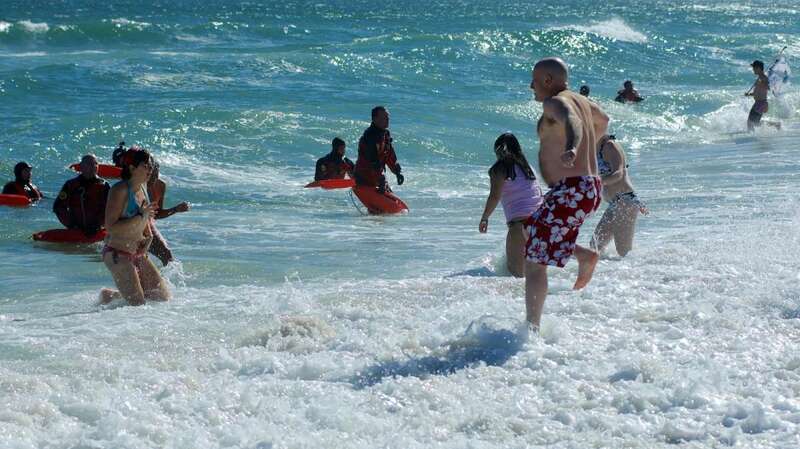 Starting at 1 p.m., participants race into the frigid ocean for a duration of 15 minutes. 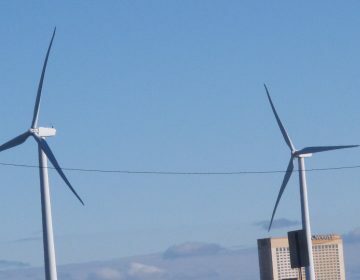 Because of the traffic snarls associated with high turn-out, organizers tried to stretch the time limit so that late arrivals could also join in. However, because of the freezing ocean temperature that extension only lasted 10 minutes. Seaside’s boardwalk and balconies teemed with thousands of non-participants who lived vicariously through the plungers’ daring dash into the sea. An estimated 6000 folks took the plunge, topping the record-breaking 2012 turnout of 5,900 participants.